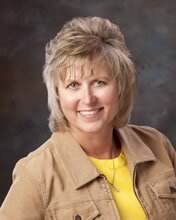 Montana Western Realty | Helena, Montana | Julie Abney, CRB, CRS, GRI – I call Helena, Montana my home and you can, too. I call Helena, Montana my home and you can, too. I was born in Helena but grew up on a ranch northeast of Townsend, Montana and then moved to Helena in 1979. I know and have experienced country living at its best. Having the western way of life in my blood, I know what the dreams of living in Montana are made from. I am committed to provide service beyond what is expected and as proof of my dedication, I can proudly say that 95% of my business, is referral based. The Helena community has been very good to me since becoming licensed in 1987. 25 years as a trusted resource for real estate answers about the process, strong negotiations skills and support through the closing and beyond. Helena, the State Capitol, has always had a solid environment for employment from both state and federal government as two of its largest employers. We have one of the finest VA Hospitals in Montana. The neighborhoods are still small enough to be quaint while having as much open space to give you that feeling of freedom not given in the big cities. Rural life is even sweeter. Whether it is an acre in the Helena Valley, a 100 acres or 1,000 acres of space anywhere in Montana, I can help you find the parcel and/or home which best fits your specific needs. I know and understand the issues with water rights, irrigation, zoning, covenants, leased lands (USFS, State or BLM) for livestock, etc. It doesn’t matter if you are buying or selling, I can help you through the process. I advocate for Homeowners and Private Property Rights. I believe that Homeownership matters to families and communities no matter how big or how small. I am the proud parent of a 2008 U.S. Air Force Academy graduate. My daughter Morgan, now 28, serves as a Captain in the U.S. Air Force. I am so proud of her as well as her accomplishments thus far and know they will outnumber my own. I am married to Bill Abney, a wonderful man who shares my passion for life, family and our way of living in the beautiful state of Montana. We have 7 head of AQHA horses of which we compete in Team Penning and Team Sorting. Our travels have introduced us to many new friends and places, but Montana will always be our home. I welcome you to Montana.